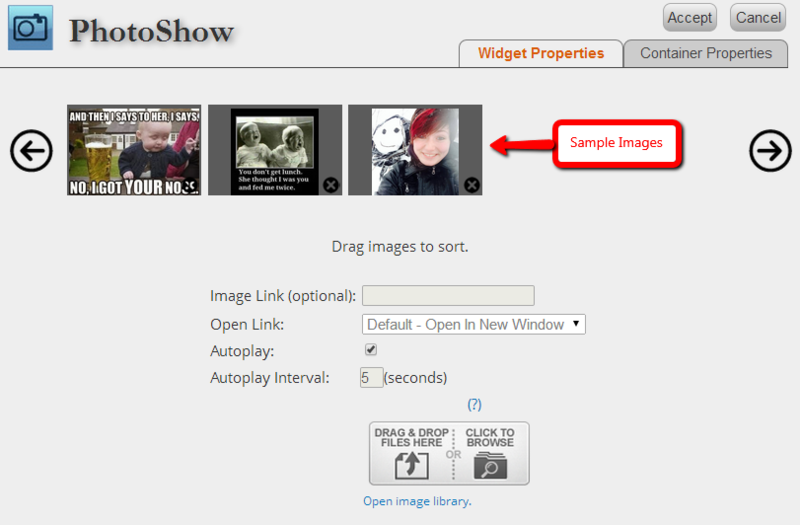 January 2011 update: PhotoShow slideshows can be set to autoplay and advance automatically based on selecting the number of seconds to display each image. 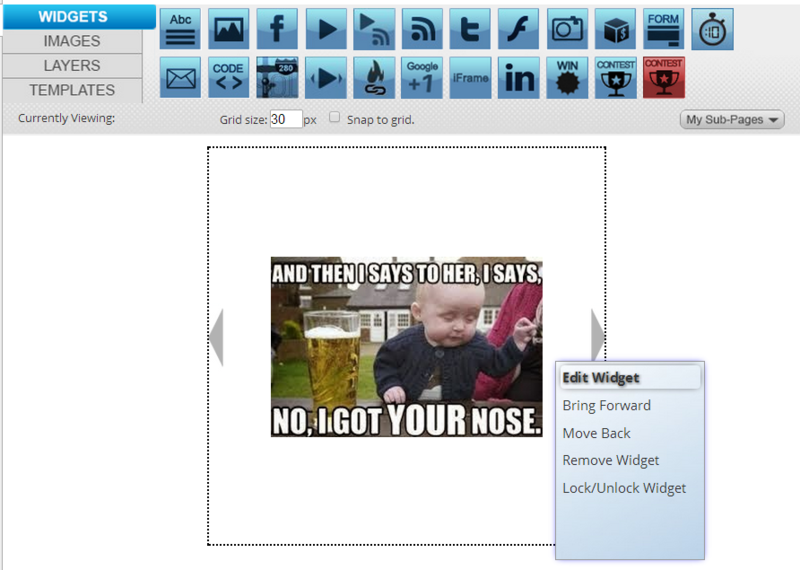 TabSite offers a great slideshow widget called PhotoShow. With PhotoShow you can easily create a slideshow of images such as your products, portfolio, or team for example, that visitors can easily click through. 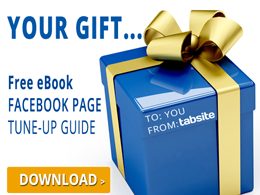 TabSite's PhotoShow is easy to resize and scale on your fan page and each image can have a url that links to a webpage of your choice. 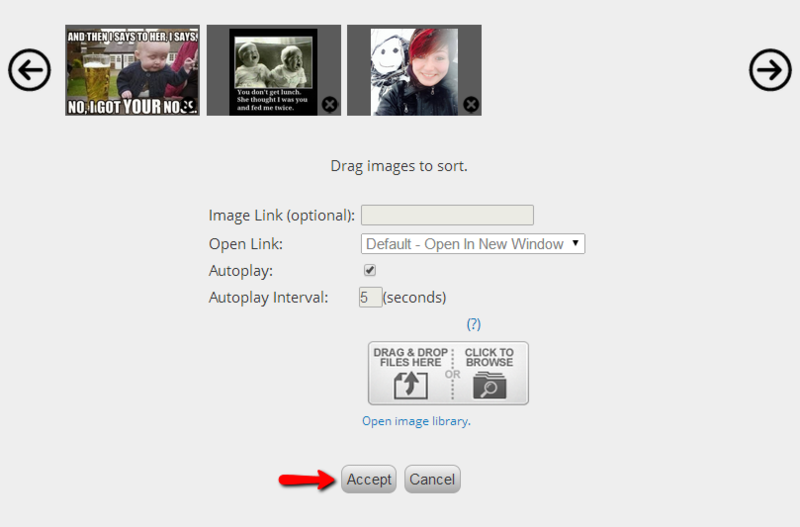 We have a simple tutorial of how to setup your fan page and a few image screenshots below. 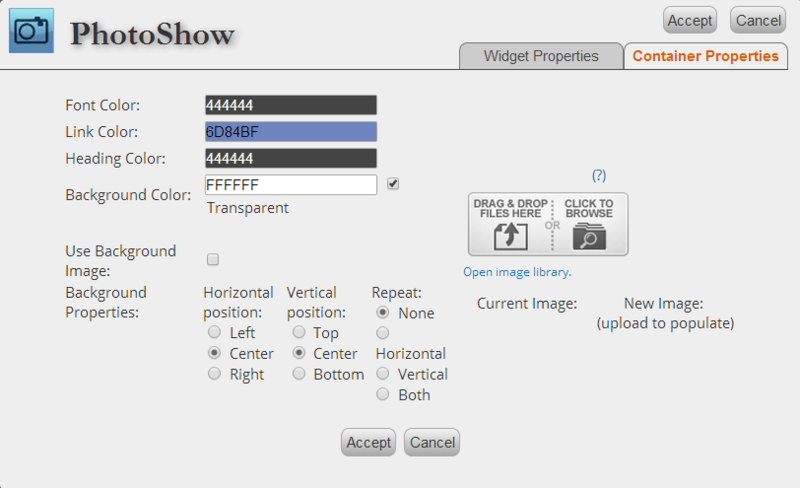 Widget Properties is where you load your images and set your Photoshow properties. 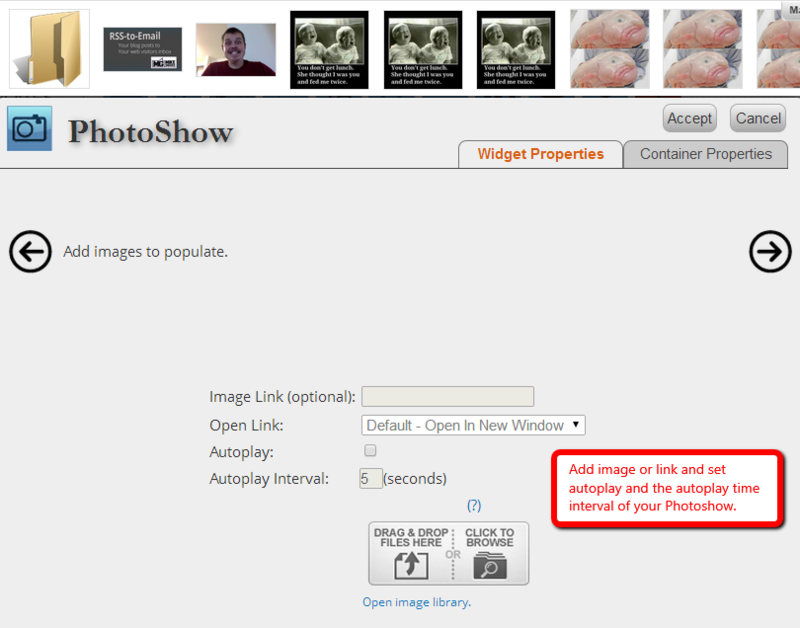 You can manipulate the appearance of the Photoshow Editor widget by clicking on the Container Properties tab in the upper right-hand corner.